To beat the competition and stand tall in the market, we are engaged in offering a wide range ofMulti StageSteam Turbines. Offered turbines are available from us on numerous specifications to choose from. These turbines are precisely developed from the top-grade material keeping in mind the set standard of industry. Our offered turbines are tested thoroughly by our adept quality experts for ensuring its efficient functioning. These Multi Stage Steam turbines are widely used in power sectors & energy sectors. We are also export in South Africa, South America, United Kingdom, Nepal, Philippines, Egypt, Jordan, Italy, Srilanka, Pakistan, Turkey, Canada, Thailand, Vietnam, Jakarta, Indonesia, Malesia, Bangkok, East Europe and Caribbean Country. To beat the competition and stand tall in the market, we are engaged in offering a wide range of Multi Stage Steam Turbines. Offered turbines are available from us on numerous specifications to choose from. These turbines are precisely developed from the top-grade material keeping in mind the set standard of industry. Our offered turbines are tested thoroughly by our adept quality experts for ensuring its efficient functioning. A detailed engineering evaluation, including a complete review of blading and rotor reliability, turbine efficiency and mechanical design limitation. 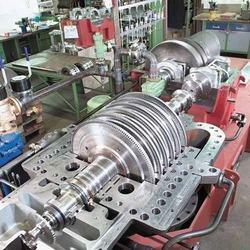 Looking for Multi Stage Steam Turbine ?